Travel North - 53: Reap the Whirlwind, "Tornado" Coming Your Way - Watch Out! What happens when a group of enthusiasts from the North East of England gets together? A locomotive is born! Why build a Pacific - the expense would be prohibitive, surely? 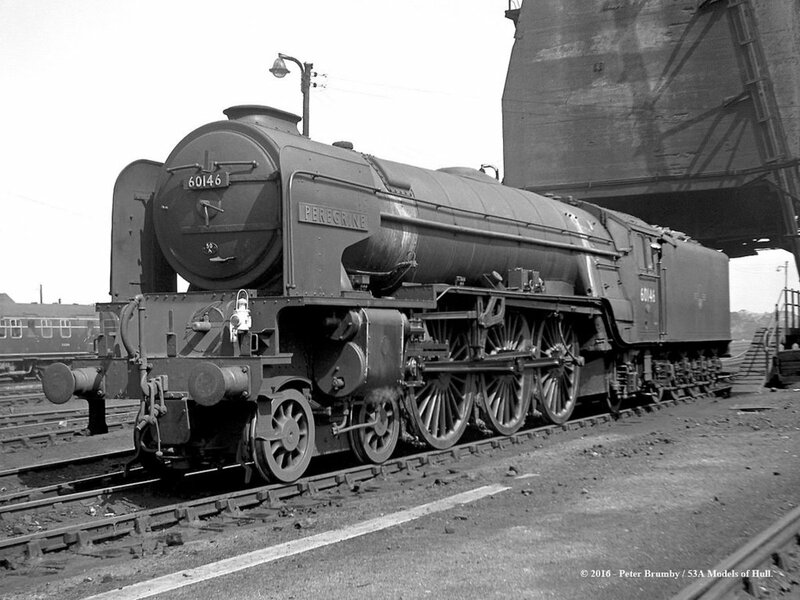 There were Pacifics in abundance, a number of them LNER 'Streaks' (Class A4), Class A3 "Flying Scotsman", and Peppercorn Class A2 "Blue Peter. 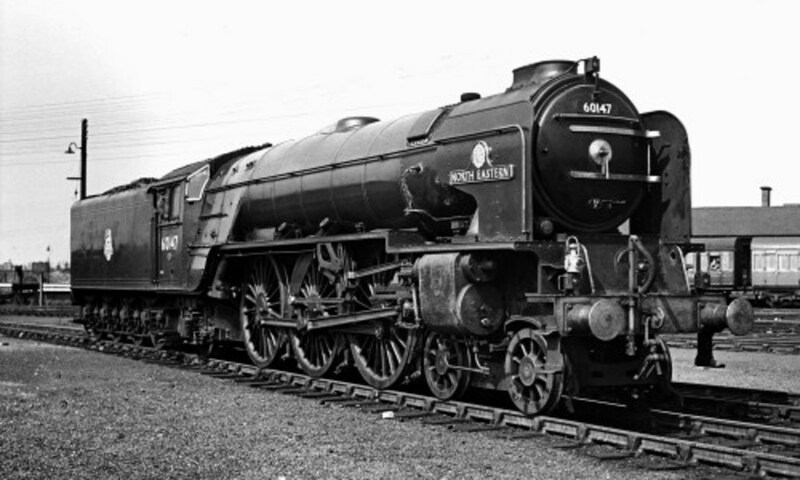 There were also ex-Southern Railway Bulleid Pacifics (Bulleid had left the LNER pre-WWII, having seen no way of promotion past Sir [Herbert] Nigel Gresley), and there were William Stanier's ex-LMS Pacifics. So why build a new one? The feeling was there should have been an example of one of Peppercorn's best designs aside from Class A2 60532 "Blue Peter", now a static exhibit at Barrow Hill Shed in the Midlands, funds for full restoration not forthcoming. 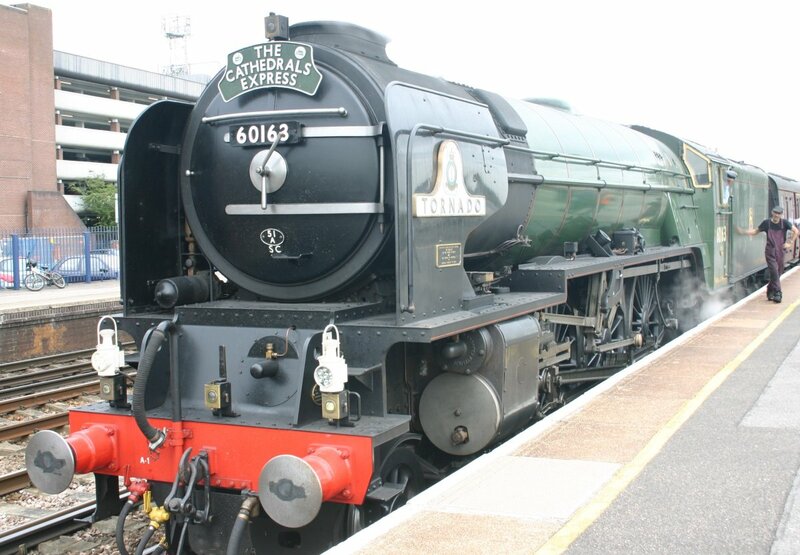 Peppercorn-designed Class 60163 "Tornado" is more than a name and a number. She was built in an old former Stockton & Darlington Railway (S&DR) carriage works at North Road, Darlington, close to North Road Works (now the site of a large supermarket) and across the green from the S&DR station that bears the same name and is itself a visitor attraction known as "Head of Steam". The sheer scale of the project would have been intimidating enough, aside from the need to seek a boiler constructed overseas. 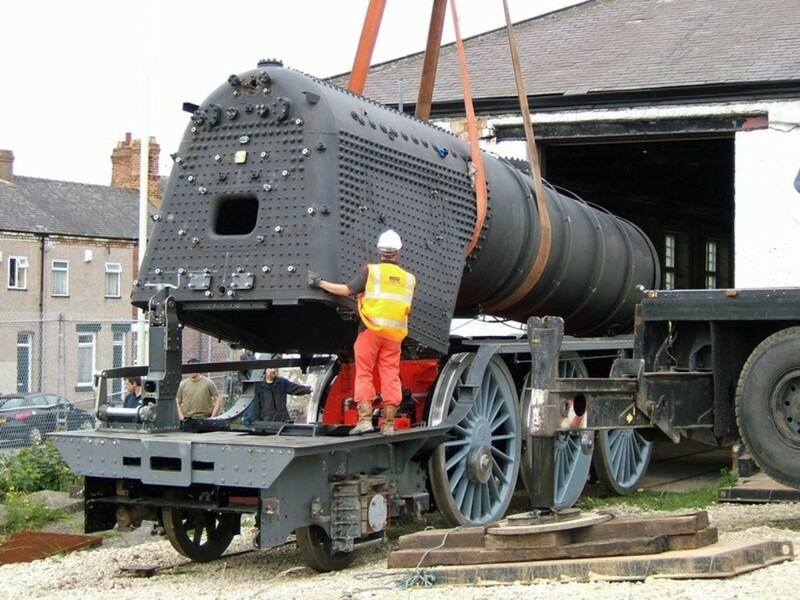 because workshops in the UK were unable to undertake a boiler big enough for a Pacific type of locomotive. Yet in eighteen years, from scrutinising diagrams and plans sourced from the National Railway Museum in York, to tightening the last bolts, adding nameplates and cast smokebox door numberplate and shed plate (51A). How was it done without the 'safety net' of a railway company and its large facilities, without the deep pockets of a natonalised railway industry, or without the large workforce available in the late 1940s to early 1950s? 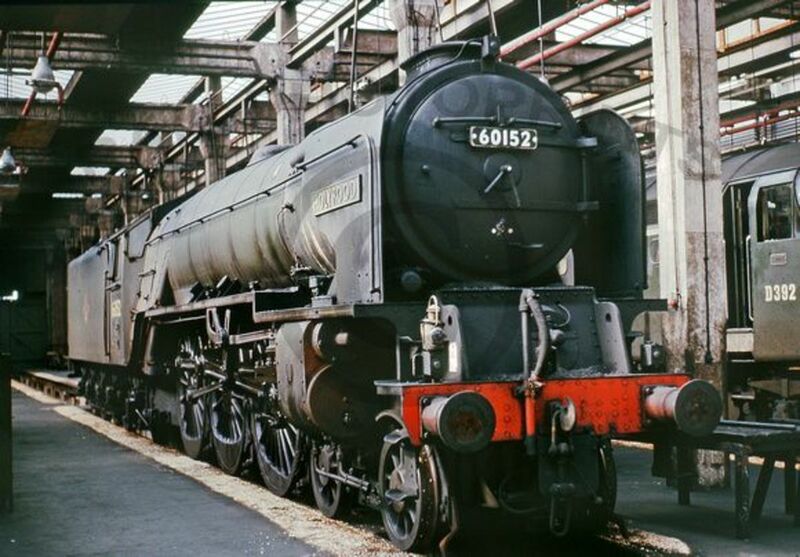 The last steam locomotive to be completed was the gigantic Class 9F 2-10-0 "Evening Star" from Swindon Works in 1960, after which the decision was made to rid mainland British Railways of its steam heritage and go over to diesel. 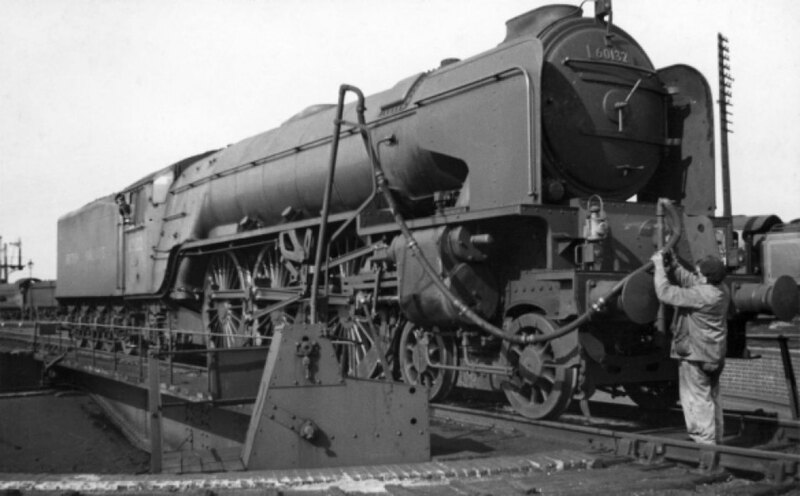 Back in the 1940s-1950s a large locomotive like "Tornado" could be completed in a matter of months. Innovation and modern computer design technology helped, of course, or it could have taken much longer. On March 24th, 1990 a roomful of enthusiastic backers and 'Covenanters' (I being one) met privately to discuss the feasibility of building a Peppercorn A1 Pacific, the 50th, that was never built in Arthur Peppercorn's lifetime. His widow attended and several other senior figures of the railway world including Peter Townend, the last shedmaster of Top Shed (Kings Cross). The case for was presented very enthusiastically and convincing for us to sign on the dotted line. As a Covenanter I would not lose a lot, although there were those who sank £000s into the project. Another meeting was held five weeks later, chaired by the group's first elected Chairman Mike Wilson. The A1 Steam Locomotive Trust was launched officially later that year on November 17th with its own news sheet that developed into a periodical magazine to keep us all informed on progress (or at times, lack of). On the face of it, this was a non-starter, except for the obvious grit and enthusiasm of the leading lights. During the ensuing eighteen years some Jeremiahs wrung their hands and shook their heads, "It'll never come off". A Pacific locomotive that would hurtle up and down on main line metals? You're having me on, aren't you? The steam enthusiasts' periodicals covered its steadfast progress, though. 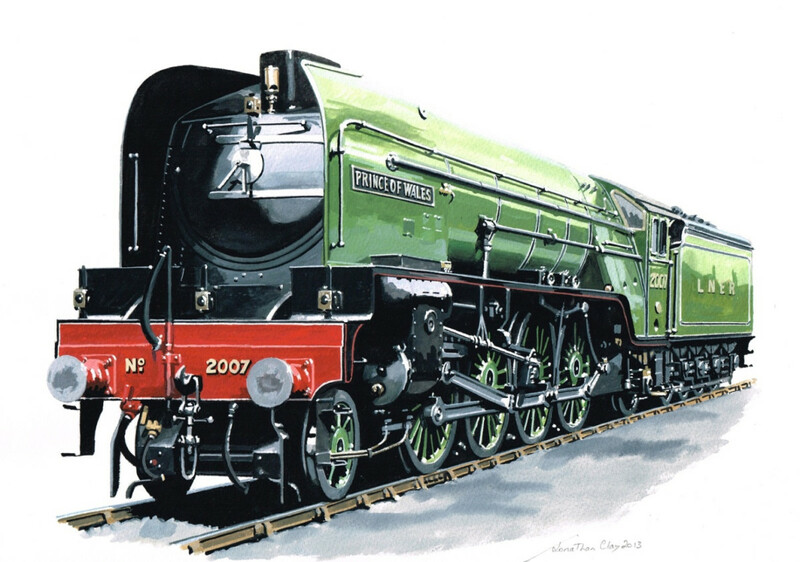 The story of 'Tornado' is covered in "Steam From Scratch: Building New British Steam Locomotives Today" by Robin Jones that you'll find in branches of W H Smith, or in digital format from www.classicmagazines.co.uk. 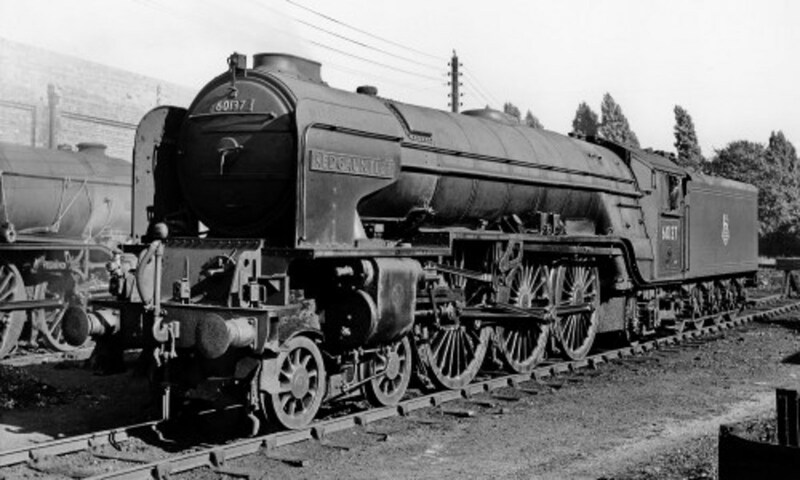 As mentioned above, the last main line British Railways-built locomotive, Class 9F 2-10-0 92220 "Evening Star" left Swindon workshops in 1960. The last standard gauge (4'-8") steam locomotive built to run in the UK was Hunslet (Leeds) Austerity Class 0-6-0 Saddle Tank No. 3890 in 1964 (now running at the Buckinghamshire Railway Centre. The final sigh of the 'real thing' in revenue-earning service came in 1971 when Hunslet built a 750 mm gauge 0-4-0 saddle tank for the Javan Trankil sugar mill plantation. 'Trangkil No. 4' has been brought back and now runs on the private Stafford Barn Railway near Tamworth. 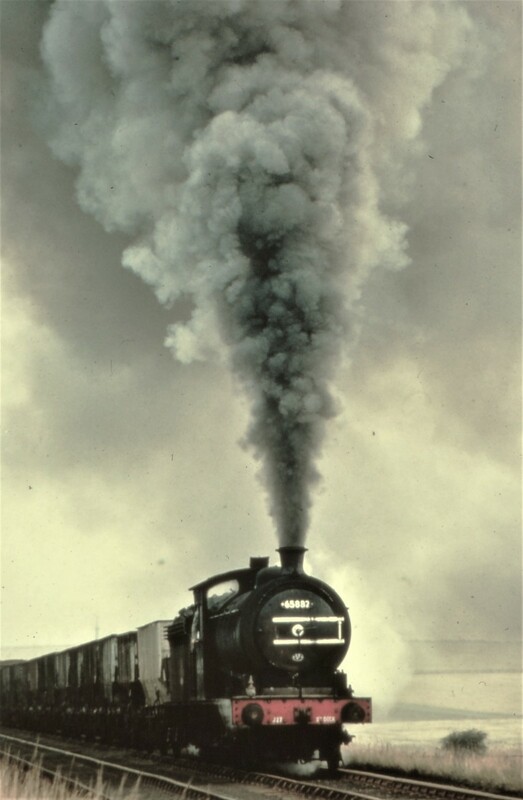 Britain's noble steam locomotive building industry that began with Cornishman Richard Trevithick's Coalbrookdale locomotive of 1802 came to a shuddering groan at the buffers. It never really died, though, did it. 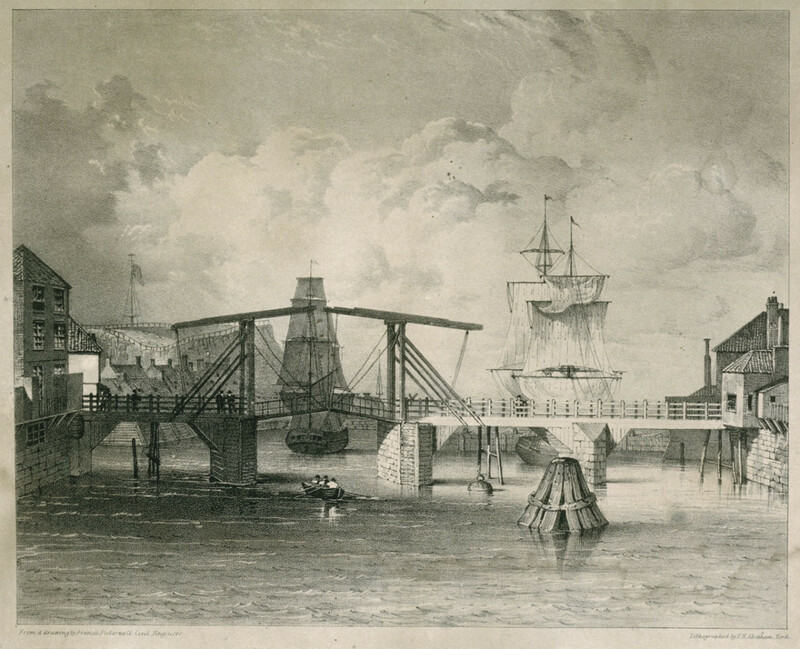 Miniature versions were still delivered to seaside resorts such as Scarborough's North Bay Railway (NBR), pleasure parks and open country houses. First class reproduced miniatures of 'Flying Scotsman', 'Mallard', 'Clun Castle' and so on haul excited children and adults on circuits aboard open 'knifeboard' carriages, themselves engineered to the last detail. 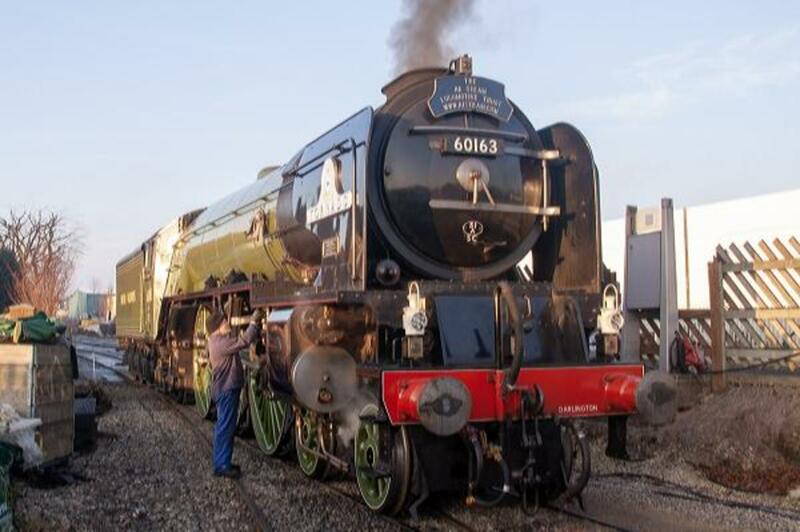 In August, 2008 the 50th Peppercorn Class A1 Pacific 4-6-2 steam locomotive was taken on two separate low loaders (engine and tender) to the Great Central Railway at Quorn & Woodhouse in Leicestershire for her inaugural run and speed tests. She was still in her workshop grey livery when I first saw her run south into Quorn & Woodhouse Station from Loughborough to pick up directors, sponsors, builders and covenanters (regular contributors). She practically glided to a halt for us all to board and 'sailed' out again, to Leicester South before returning through Quorn to Loughborough and back to Quorn where we all alighted again, took our photographs before she set off again with her empty stock. 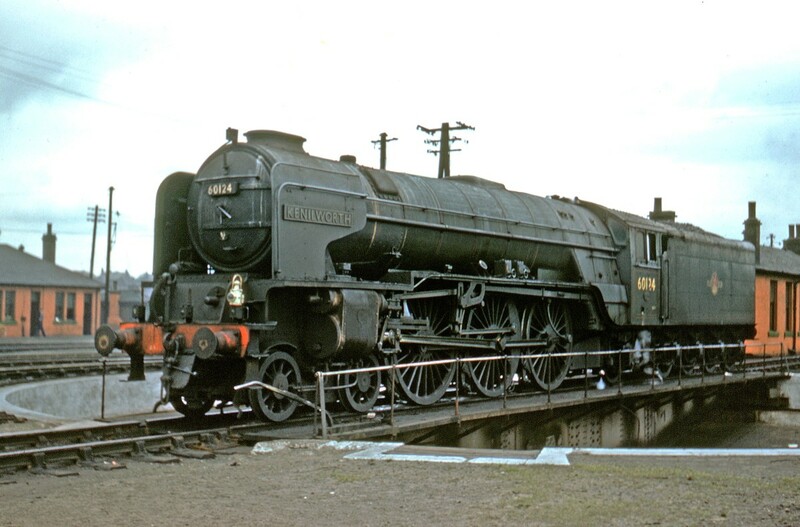 Later the same year, on 21st October and for a short time she was displayed at the National Railway Museum in York. Proving on the York-Scarborough line and elsewhere near the East Coast Main Line (ECML) followed, and when running up to London during one winter (when local services were severely disrupted) she made stops to pick up amazed passengers into Waterloo Station, London. 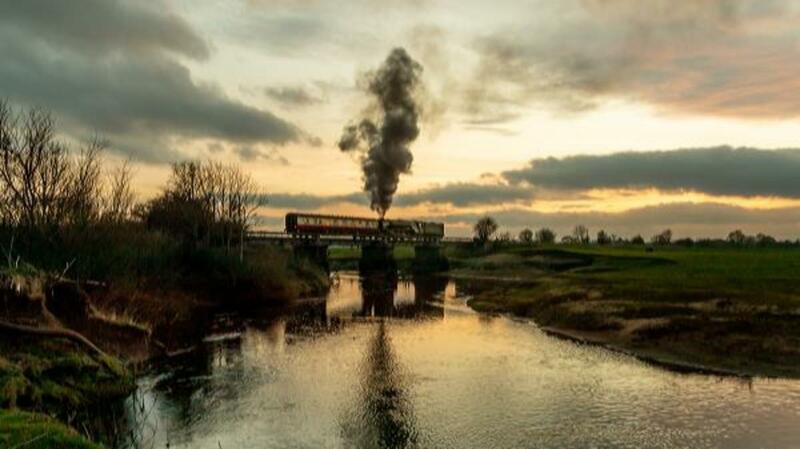 One evening in early April, 2017, on an East Coast Main Line test run 'Tornado' became the first steam locomotive since 1967 to run at 100 mph (160 km/h). 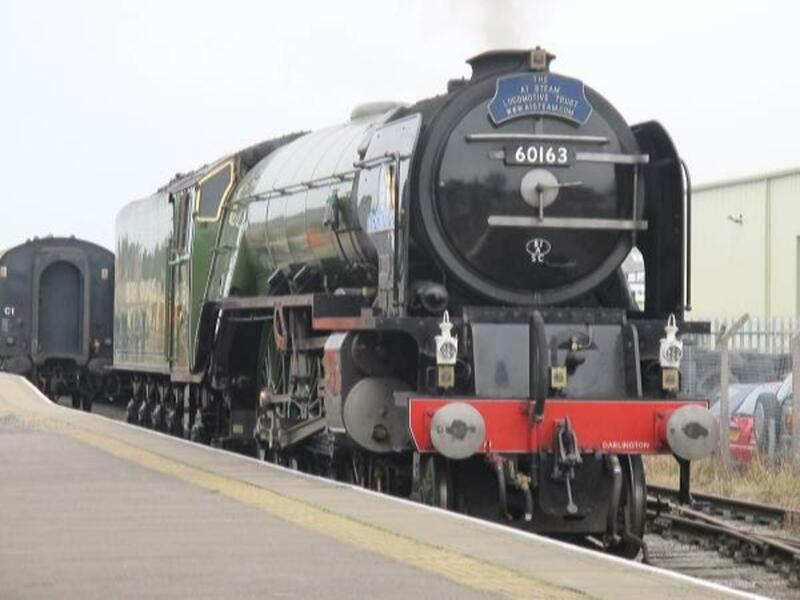 The last steam hauled train to (officially) travel at that speed on the main line network was in 1968 when 'Britannia' Class standard Pacific 70013 'Oliver Cromwell' took the famed 15 Guinea Special (the price of a ticket, equivalent nowadays to £15.75p) around British Rail's national network as the last official B R steam passenger working. A first new-build steam locomotive built for the heritage 'industry' was the 15 inch gauge 2-8-2 Ravenglass & Eskdale Railway's 2-8-2 "River Mite". This was a creation of Clarkson of York in 1966 to drawings of a Gresley Class P1 2-8-2, in the eyes of many still a miniature railway engine. The first full-size new-build was the Ffesiniog Railway double-Fairlie (twin cab) "Earl of Merioneth", constructed on site at the company's Boston Lodge Works in 1979. The same year a full-size, standard gauge replica of Stephenson 'Rocket' was built by Mike Satow and the Locomotion Enterprise for the 'Rocket 150' Celebration at Rainhill near Liverpool to re-enact the locomotive trial.of 1830. 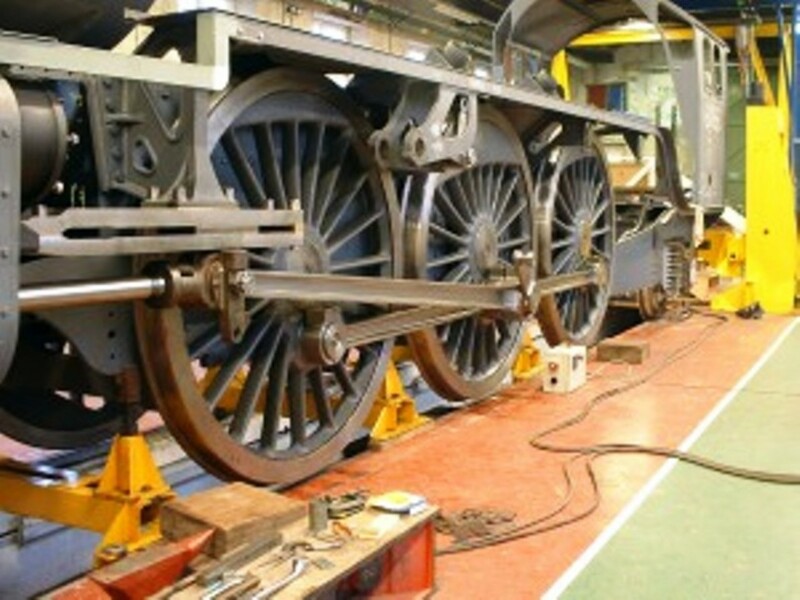 Following these ventures into new steam locomotive construction there have been several equally if not more ambitious projects begun and completed or are underway at various sites around the country. The 'flagship' has to be "Tornado", however, by virtue of its sheer size, expense and technological advances. 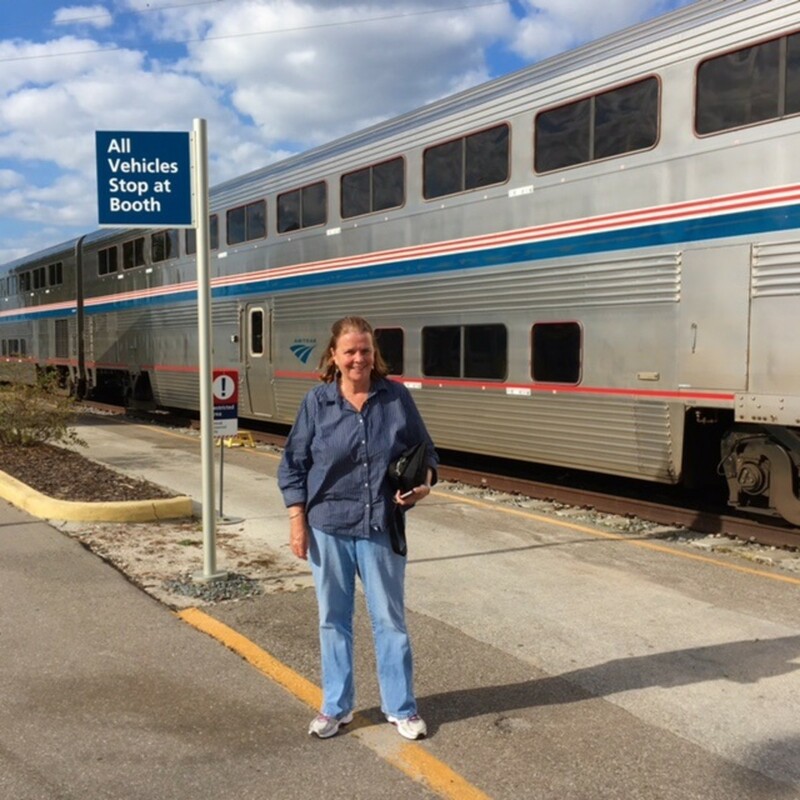 From the launch conference at the National Railway Museum on November 17th, 1990, her outstanding success has been the concentration applied to the venture by an adventurous team with their feet firmly planted on the ground. All was not plain sailing, nevertheless. The estimate for building stood originally at £1M. The final tally was more than three times that figure and achieved through dedication, along with an enthusiasm that caught the public's imagination (and mine). Fund-raising was launched well before a single sheet of steel was cut or wheel cast. Businessman David Champion, a local Darlington man gave the project impetus through most of the 1990s. He calculated that if a thousand donors could be persuaded to part with the price of a pint of beer per week (that was the marketing spiel, "An A1 for the price of a pint!") it would only take ten years to raise the funds. Thus was the concept of the regular donor born - aside from Gift Aiding, a form of tax concession whereby donors who pay tax in the UK can tick a box to add £££s to their donation. Of course there were the bigger donors who sank much greater amounts of their personal funds - Gift Aided, of course. The team was lucky in locating a large, if perhaps incomplete collection of Doncaster drawings at the National Railway Museum (NRM). The slow, thorough-going business of sorting and cataloguing them followed. before they could be translated to Cad-Cam before the real planning could get underway. This is where project engineer David Elliott came into his own. 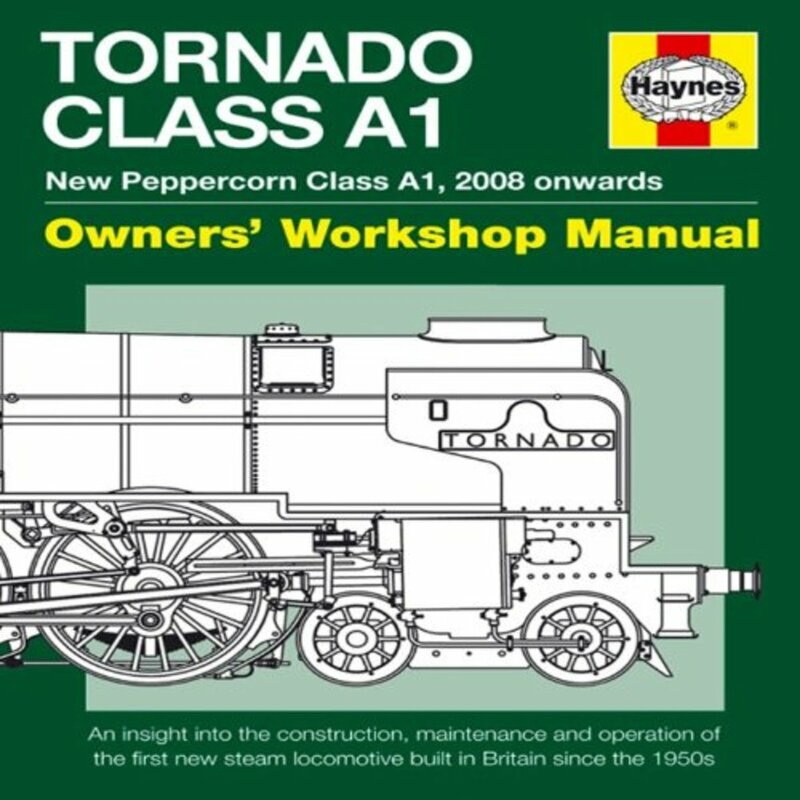 A link between the 20th and 21st Century was provided by Dorothy Mather, late widow of Arthur H Peppercorn, who became the trust's honorary president and attended several events linked to advances in the production of "Tornado". In 1994, for instance, she pressed the button on the state-of-the-art plasma-cutting machine at the B.S.D plant in Leeds, West Yorkshire. "Tornado" was then on her way to becoming reality. 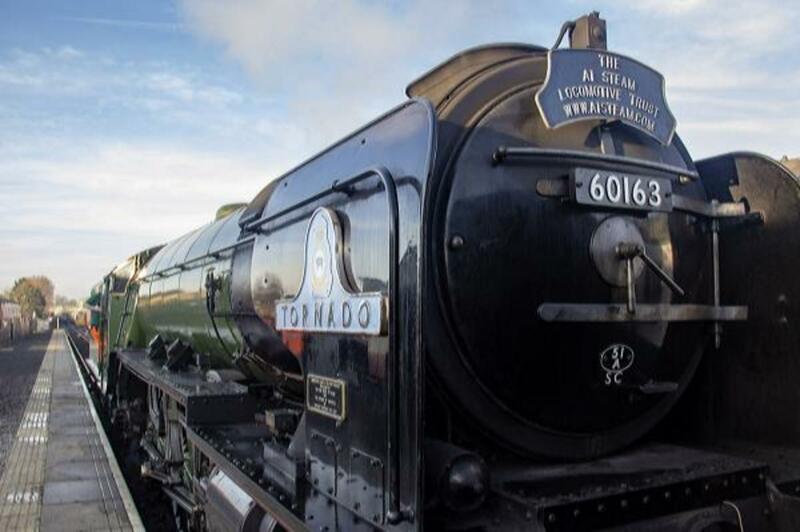 The name "Tornado" was selected to honour Royal Air Force (RAF) Tornado aircrews who served in the Gulf War, the choice of an early sponsor of the A1 project. In January 1995 RAF officers presented a pair of crested nameplates to the trust during the frame-laying ceremony at Tyesley Locomotive Works in the Midlands. Andrew Cook, chairman of Sheffield-based steelmaker William Cook Cast Products was inspired for his company to take on the key task of casting the main driving - or coupled - wheels for "Tornado" on very generous terms. Initially, as components were assembled under the management of Bob Meanley at the Tyseley works, the project began to look businesslike. 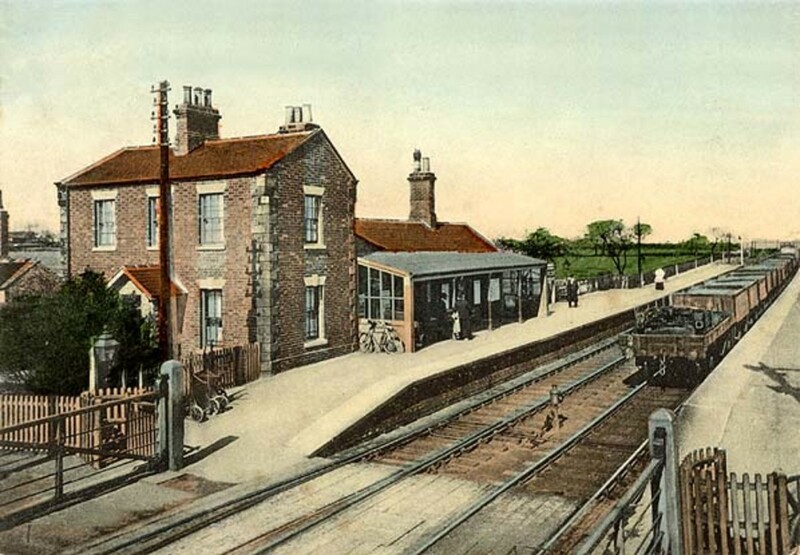 Elsewhere, in Darlington where many of the class were built, negotiations went ahead with the council to establish a permanent 'home', the erstwhile Hopetown carriage works of the S&DR across the way from the S&DR's North Road Station. This is where the completed frames were delivered in 1997. 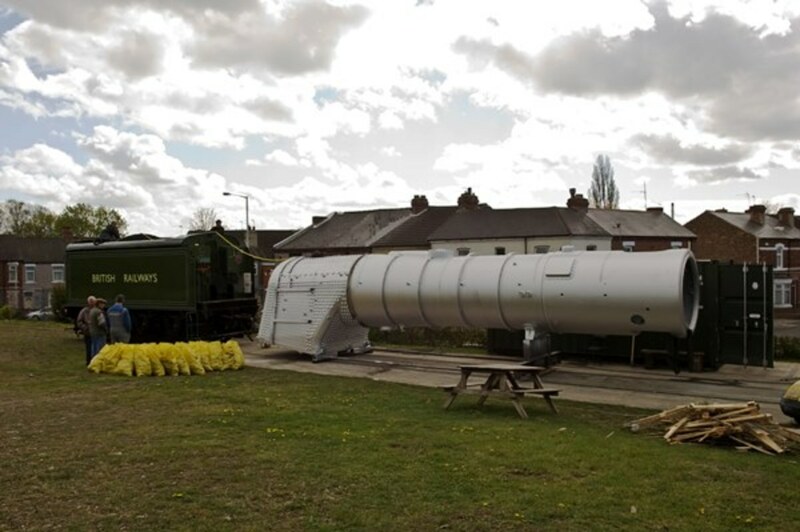 The largest and by far most expensive element of the project, the boiler. A fund was launched, the Bearer Bond scheme to pay for "Tornado's" £500K 'heart'. As I mentioned earlier no UK manufacturer was able to take on this large task so the trust turned to the 1914-founded Meiningen Locomotive works. that went on producing replacement steam locomotive boilers until the modern day. 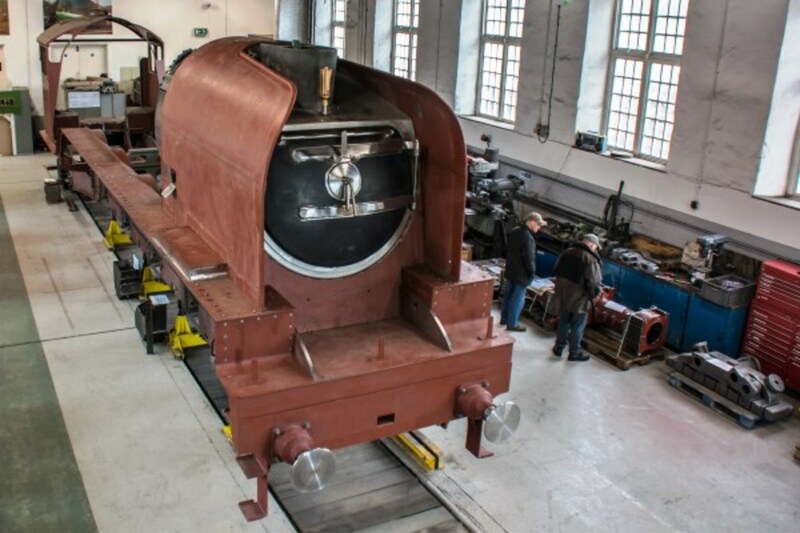 The completed boiler was raised onto the rolling chassis at Darlington in June, 2007 at Hopetown Works. A symbolic match was lit on a cold 9th January day by Dorothy Mather eighteen years after the project was first spawned. Still incomplete by far, the gesture remained potent: "Tornado" had fire in her grate at long last. Mark Allatt, latter-day Trust chairman and marketing professional who specialised in brand management would launch a brand much closer to his heart. 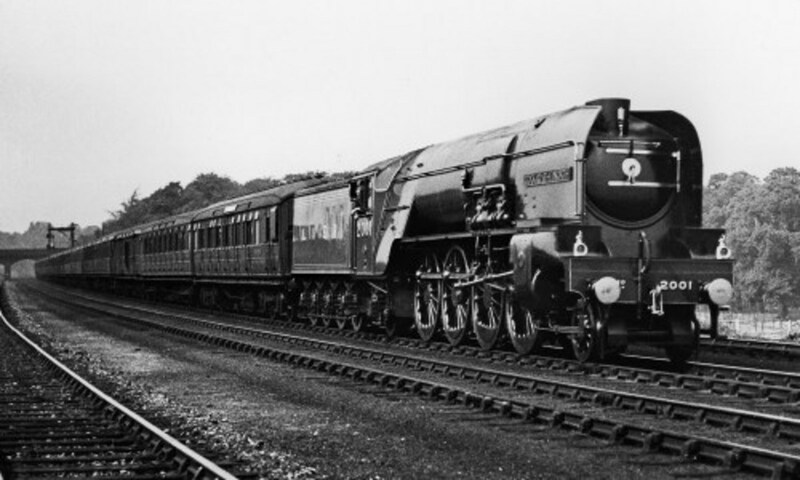 As the LNER had turned "Flying Scotsman" into a market leader, the closely watched publicity material of such an event was executed perfectly, with the story taken up by the British Broadcasting Corporation (BBC) 24 hour news channel. Others followed eagerly in the BBC's wake. The following Friday, August 1st, 2008 a crowd of international journalists and newsmen made their way to Hopetown as "Tornado" - in works grey with the Trust's web address in black of the tender sides - made her own way along a short length of track. At exactly 11 am the mayor of Darlington blew the whistle and waved the green flag. 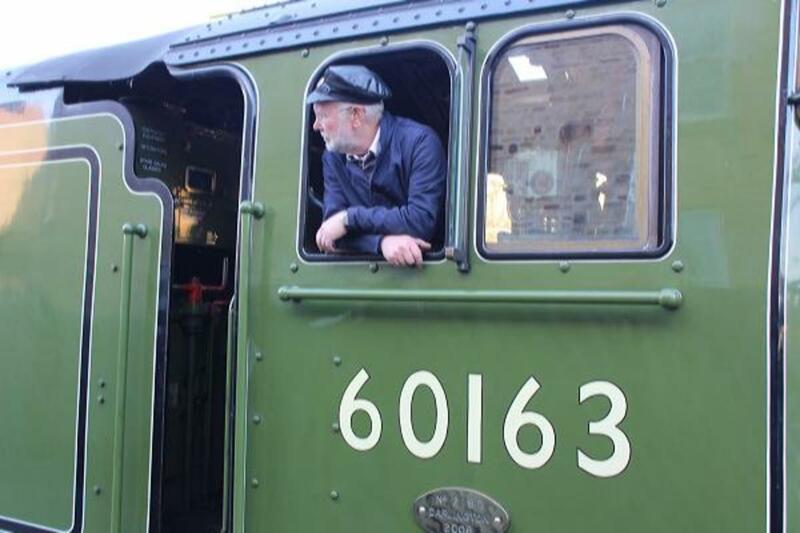 Close by him on the footplate stood Dorothy Mather in a proud moment to mark the advent of her late husband Arthur Peppercorn's 50th Class A1 Pacific. 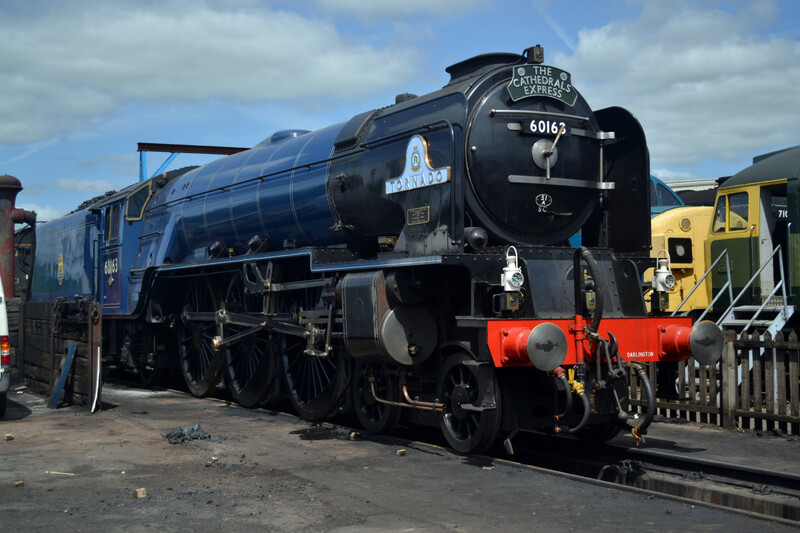 Not long after, still in workshop grey, "Tornado" would take to the rails for two months of inspections on the Great Central Railway between Loughborough and Leicester. She even carried a 'face-board' on her smokebox door during a Thomas the Tank Engine event. Her first passenger turn came on an uncommonly warm and sunny Sunday, September 21st when around a thousand covenantors, their guests and trust figures took their allocated seats for the ride from Quorn & Woodhouse south to Leicester, north to Loughborough and south again to deposit her happy passengers at Quorn. I for one was a happy chappy. 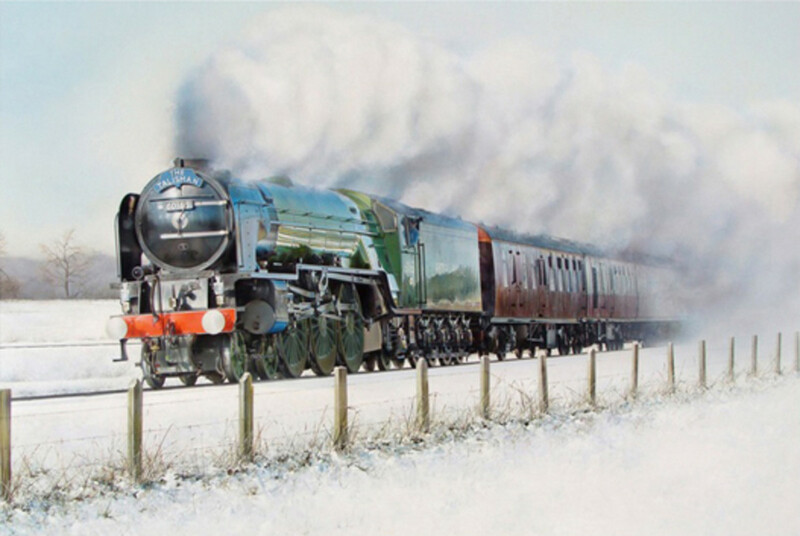 The rest is well documented as you will see in divers steam heritage magazines included my reference, "Clash of the Steam Titans" - although I wouldn't call it 'clash' so much as friendly rivalry between a nationally funded "Flying Scotsman" and a privately funded "Tornado". I hope you felt the same thrill as I felt, reading this, as I sensed watching her 'grow', come into being and felt the 'buzz' of travelling behind her, running on the preserved section of the Great Central Railway in Leicestershire. 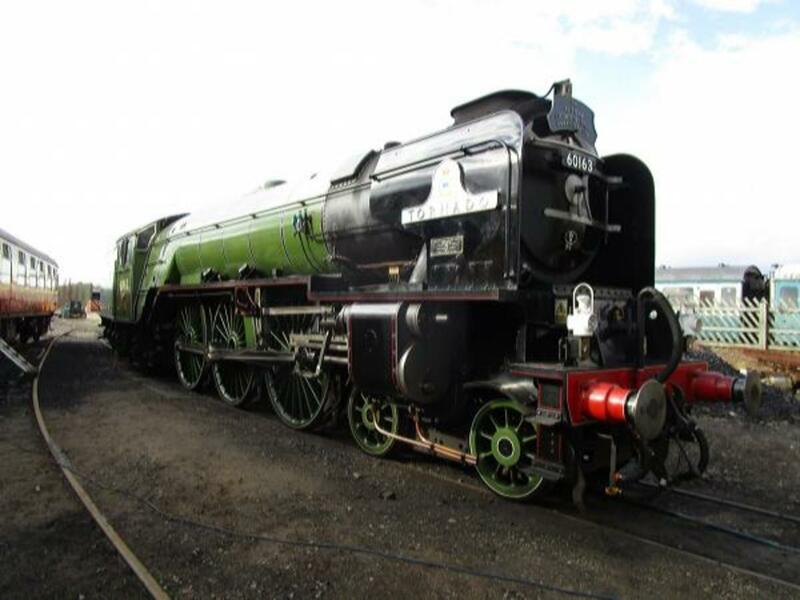 More to come with the new-build by the A1 Locomotive Trust, of Gresley Class P2 2-8-2 "Prince of Wales"
The next locomotive in line from the A1 Locomotive Trust workshop is the Gresley Class P2 2-8-2. Designed in 1934 - at a time when new steam locomotives held the romance of ocean liners - and a hungry press swallowed the LNER's hype, hook line and sinker. The class was allocated to Scottish motive power depots, which in itself was questionable, given the nature of the lines. They were also revealed to 'spread' the rails, i.e., they were too heavy for the areas they were allocated to. Further, they were regarded as 'the miner's friend', being as heavy on coal consumption as they were on the rails. They were all rebuilt by Gresley's successor Edward Thompson - along with some late-build Class V2 2-6-2 machines - to Class A2/2 and re-allocated south. The locomotives' weight was more evenly spread, even at the expense of looks (Thompson' rebuilds were considered aesthetically ungainly). 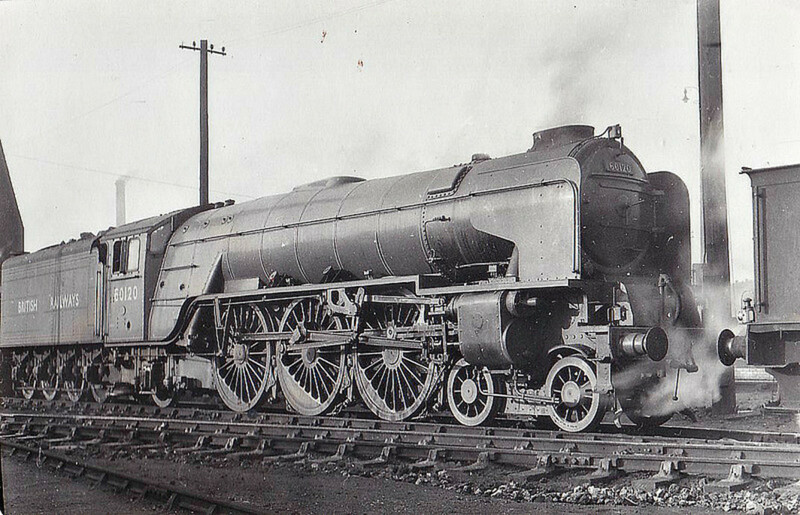 However, as with Class A1 'Tornado', P2 'Prince of Wales' will incorporate a number of modifications not available in 1934. The trust regards the East Coast Main Line as the ideal proving ground for the P2, rather than the twisting, turning Edinburgh-Aberdeen route that turned out to be its undoing. Altogether 470 drawings were scanned for the P2, not as many as for the A1, as well as the seriously complex General Arrangement drawing. However the overall results of the feasibility study persuaded the trust to go ahead with the project. The P2 project team headed by chairman Mark Allatt was determined to learn from the business model that supports the A1, with an even slicker approach this time. One radical line of thought was the concept of a racing start to capitalise on credibility and show notable early progress. The core strategy was simply to seek a hundred people to donate £1K each by May, 2014. The response was overwhelming. 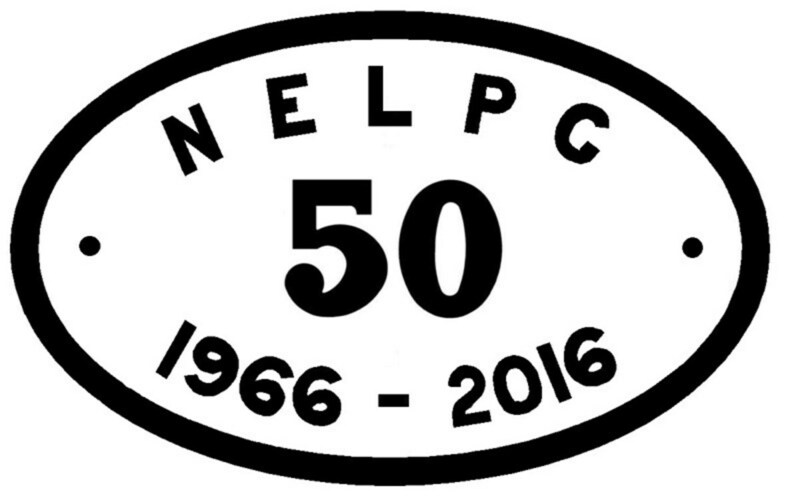 The hundred were signed up within four weeks and when the Fundraisers' Club was reluctantly closed in June 2014 371 had signed their support. 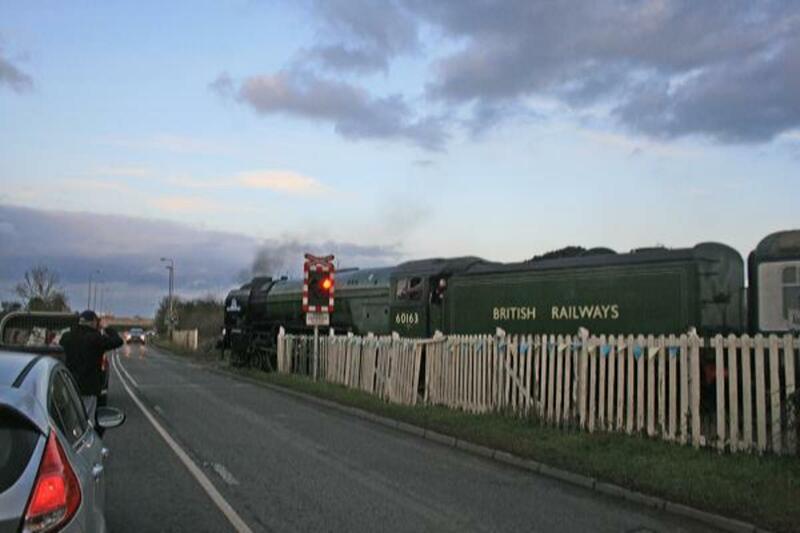 Around £400K (Gift Aid included) was raised through a series of 'road shows' that saw the project team down the East Coast Main Line from London to Aberdeen. Forget the 'race', the P2 was off to a flying start. The task showed the plain desire to see 'Lot 2' turned into more than nuts and bolts. There are innovations applied to the building of the P2 that were learned from the A1 project, which give it an advantage and ensure the new locomotive will be a power to behold. 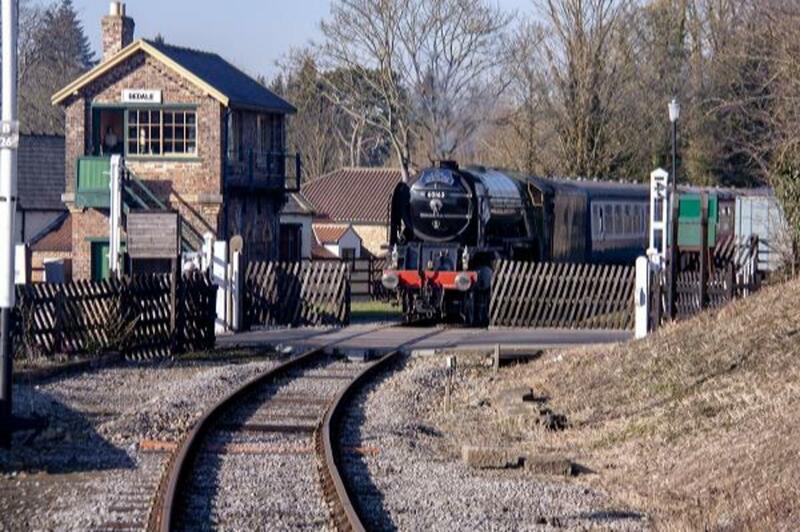 Hopetown, Darlington is once again alive with the hum of an engineering creation first designed in 1934 by Sir Nigel Gresley - this time there will be modern innovation as with A1 'Tornado'. I recall my father having a small phial of fluid that had to be dripped carefully in to then produce the steam. Basic but different from the others we had. I can imagine that sound would be distracting. The early attempts at 'steam production' were just gimmicks anyway, Liz. Even the newer ones aren't convincing, nor is the sound (and a lot of neighbouring exhibitors at shows find the sound annoying, distracting (and show-stealers). The Triang Rovex 'Winston Churchill' model itself at the time seemed very realistic in its moulding, much more realistic than the Dublo engines. There are many detail differences also between the Hornby and Bachmann Class A1, My next A1 will be the Bachmann version. I was sure the Winston Churchill that produced 'steam' was mine, but it turned out that it was my brother's. Memory can play tricks on us! My Dad's ambition was to set it all up in the loft, but it never quite happened. Vintage, unused Hornby in original - un-damaged - boxes is worth a mint. I shouldn't wonder your friend was en-raptured. If he's a collector he'll keep them as he received them, although his offspring might hear cash tills going when they see what he's got! I'll probably all end up with dealers and auction houses. Maybe that's the heritage factor. Much of Hornby's catalogue ended up with a company called Wrenn, who had similar boxes, although with the pickups on one side of the model. Original Hornby pickups were in the middle, as you probably know. Who knows where my old stuff got to? I had a 'Battle of Britain' Class Pacific 'Sir Winston Churchill' (in the days before I specialised in LNER BR/NE). It's anybody's guess where that got to. I'm sorry to say no. I reclaimed my share several years ago (7-8 boxes worth). We didn't have room for them. I had two rail companies and my brother had two. Mine went to auction. Some were still unused and in their boxes. I think my brother has also since sold his. I did, however, invite an older friend of ours round and asked him to choose a couple for him to keep. He was in raptures. It was like he had died and gone to heaven as he carefully examined them and made his choice. It gave me a lot of pleasure to see him so happy. Hello Liz, question is have you still got them? My Dad bought me a Triang Rovex goods shunter set for Christmas when I was eight. The engine was an ex-LMS Jinty in BR livery. There were three wagons and a short brake van with a circuit of track and battery powered controller (Bakelite plastic). Somehow it all went its own way and I forgot about railway modelling in the course of survival on my own in strange cities, plus looking for a 'mate'. Sixty-odd years on I sought to interest my brood in railway modelling. The interest stayed at that: interest. So now I please myself and fellow enthusiasts. Bought a modern Hornby version of 'Tornado' from Hattons this week, a set of 'crested' nameboards, smokebox door numbers etc with a view to renaming the engine "North Eastern" (60147 of Gateshead - 52A). 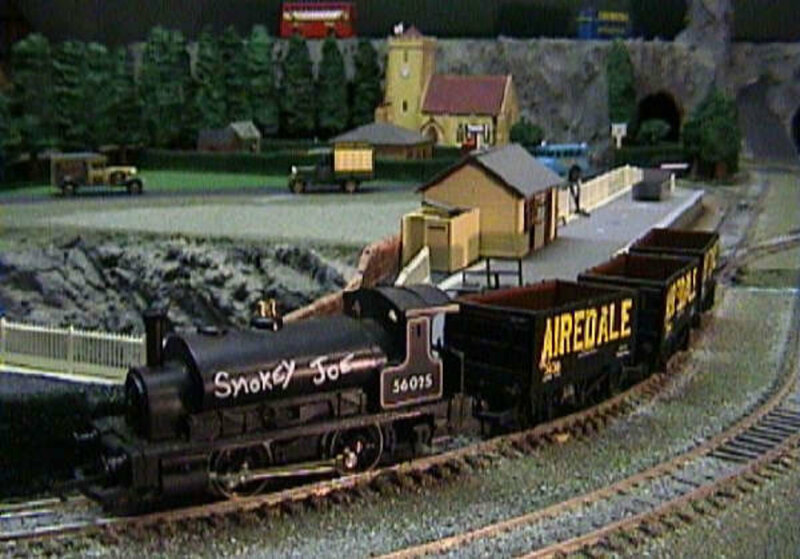 i'll buy another one, maybe rename it for another Tyneside shed or York (50A) to add to the fleet for when I've completed a new layout (see the page for "Ainthorpe Junction"). My father would have loved your article. He was a real steam railway enthusiast. I was bought a large selection of Hornby models as a child.